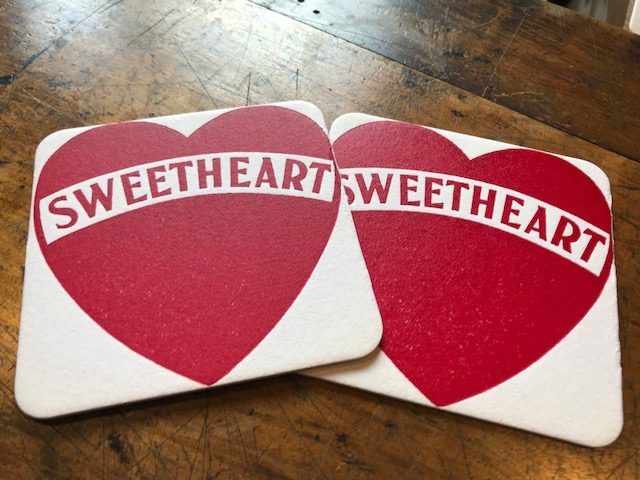 Our famous Sweetheart Coasters are back by popular demand. I found this old brass plate in my letterpress drawers and it fits perfectly on a 4″ coaster. I’ve done a few in the past and they have always been a hit. Every hour or 90 minute purchase get s a free coaster!